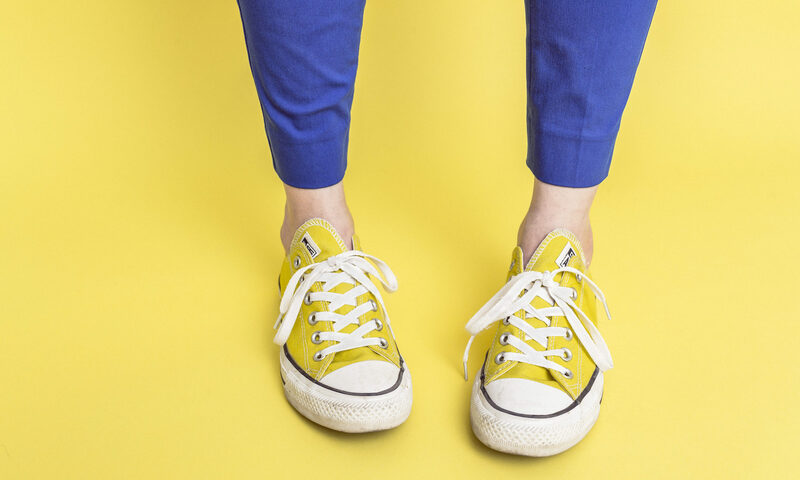 You Have Content But Do You Have Style? Recently, I talked here about editorial calendars and also posted a presentation on SlideShare on why content marketers need an editorial calendar. Now, I’m going to explain why you need a style guide and what you should put in it. Every business that has a website and creates content — web pages, marketing materials, blog posts, white papers, etc. — needs a style guide. The larger your business and the more people that you have creating content, the greater the need for a style guide. Why? Because you’re building a brand. Every piece of content you publish represents your brand. 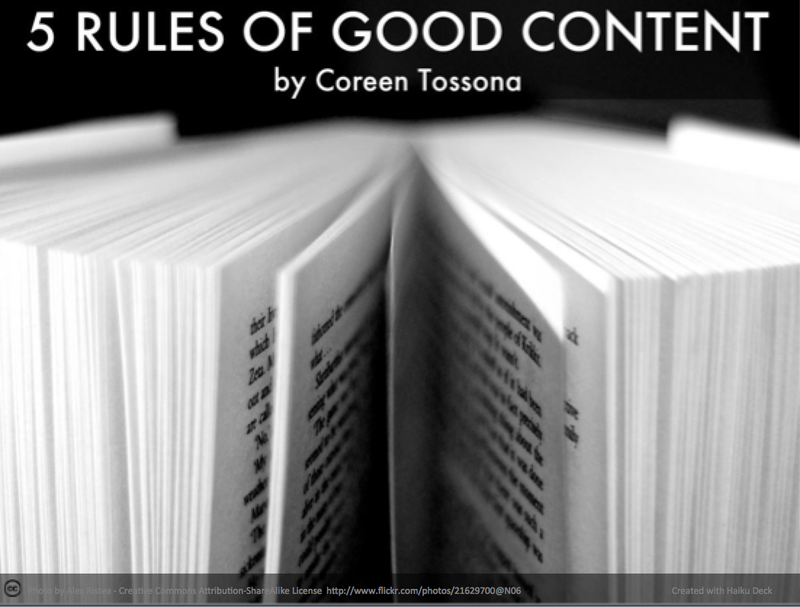 Without guidelines, you’ll have a sort of content chaos. Your pieces may all be designed similarly and share the same colors and logo, but don’t let that fool you into thinking that your branding is complete. Brands are made up of every action a company takes. Imagine your audience’s response if they get emails from your company in a tone that’s friendly and informal and then click through to a website that’s jargon filled and formal. Do you know what that disconnect represents? It represents doubt. When you put out marketing communications, blog posts, press releases, ads and other collateral that aren’t consistent in voice, tone and style, you are planting seeds of doubt in your customers’ minds. They can’t tell who you really are — and that’s a big problem. It’s a problem that can be solved with a style guide. Your style guide can be as long or as short as you want, as long as it has enough direction in it to be effective. 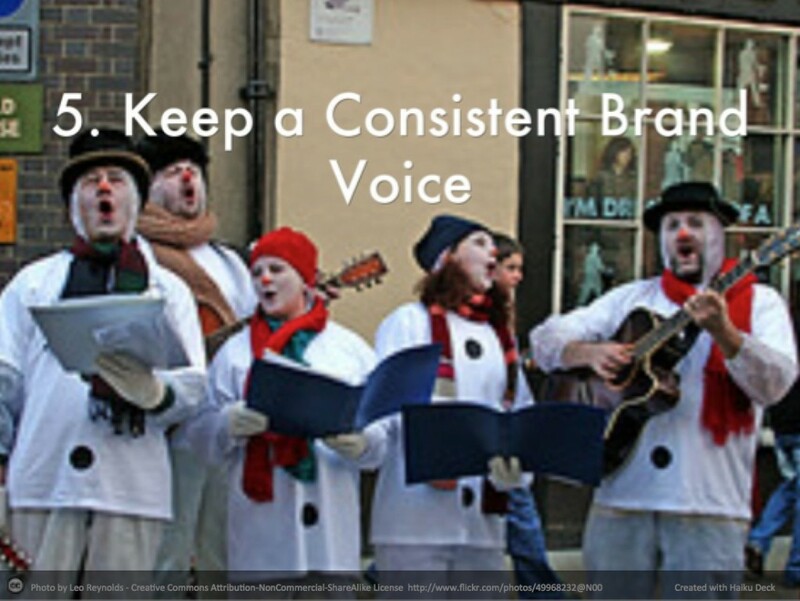 Voice of a company should never vary. To determine your company’s desired voice, you need to consider two things: (1) Who is your target audience? and (2) How do you want them to see you? Your audience could be teachers, doctors, lawyers, women ages 30-55, men ages 20-35, etc. There are too many options to list here, but you get the point, right? Now, how do you want to come across to them? Authoritative and formal? Authoritative yet friendly? Relaxed and consumer focused? Serious and trustworthy? The answer to that second question above is a result of how well you know your audience and how you want to be seen as a company. For example, if your audience is doctors, you don’t want your voice to be so casual that you seem unknowledgeable about healthcare and the doctors’ needs or too self-focused and uncaring. So, if you’re selling software that will help their offices, you may choose knowledgeable (some might choose innovative) and understanding. People often confuse tone and voice, but as long as you carry the same voice throughout all company communications, you can alter the tone to reflect the subject matter. Using the example above, let’s say you have two communications to go out. One is telling the doctors about a new add-on to the software they have that will help them process claims faster. The second is an email telling them about a software glitch that needs to be fixed. Are you going to use the same tone in both? No! But you will use the same underlying voice. When telling the doctors about your new product, the tone of the piece will be engaging, excited and a bit sales-y. You’ll approach the sell and surrounding language with the understanding of why this product meets the doctors’ needs. You’ll be knowledgeable both about your product and about how it will impact the doctors’ day-to-day lives. The email bringing bad news won’t bring the same excited and engaging tone. Instead the tone will be more serious, straightforward and sympathetic. You’ll tell them briefly what’s happened and when and how it will be fixed. Your voice will remain steady and not throw any doubt on your expertise, but will instead leave the doctors with the feeling that you will inconvenience them as little as possible because you understand their needs. The point is both communications will sound like they come from the same company. You might be wondering who will care about those things, especially if you already take care to proofread and make sure your content is error free. The one-time customer probably won’t care, but you want long-term customers, right? Consistency is key to your brand. If you’re sending out messages that all look different, how will your customer know who you really are? 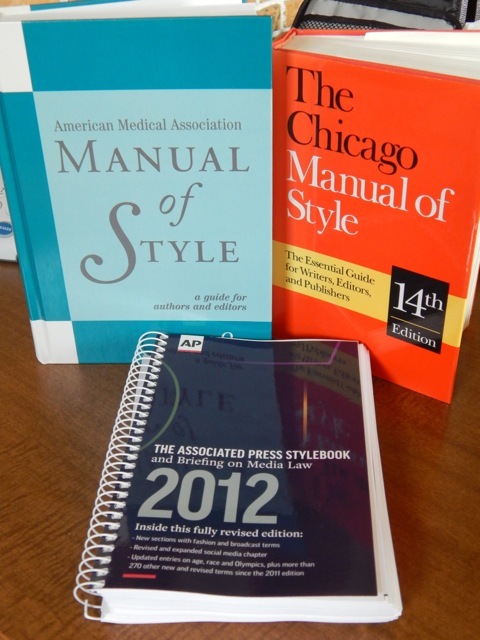 A style guide not only helps your customers, but it helps your employees as well. And in business, we call that a win-win! 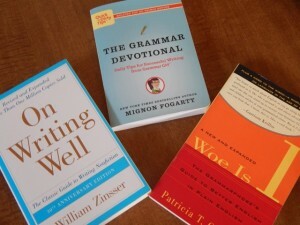 Try these other guides to good writing and share with your coworkers. Content marketing has grown exponentially over the past two to three years. Understandably, marketers and small business owners have felt pressure to race to get content out there in front of their target audience. The key is to focus more on the quality of content than the race everyone’s participating in to get their content seen and heard above all. This one is self-explanatory. If you want people to pay attention to your company and your marketing communications, you have to give them something they’d be interested in and present it in a unique and engaging way. Without a concrete mission that relates to what your audience wants or needs, most content ends up rambling and unfocused, and as a result customers drift away. Using plain language and describing concepts in language your audience will understand. Making copy less dense so it’s easier for your time-crunched consumers to pop in and find what they want immediately. 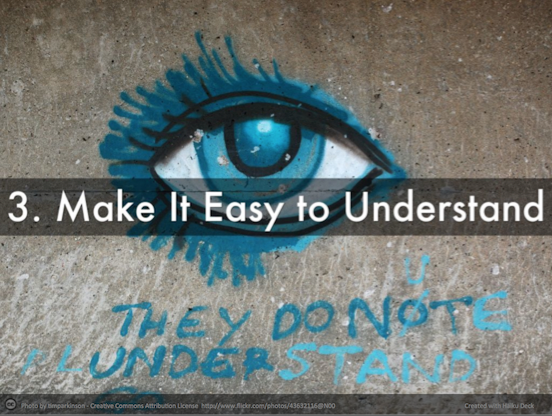 There’s a myth that using simpler words and descriptions is “dumbing down” to your audience. It’s not. Doctors, lawyers, engineers and others all want to be able to consume your main points quickly. The easier you make that for them, the more likely they are to stick around. 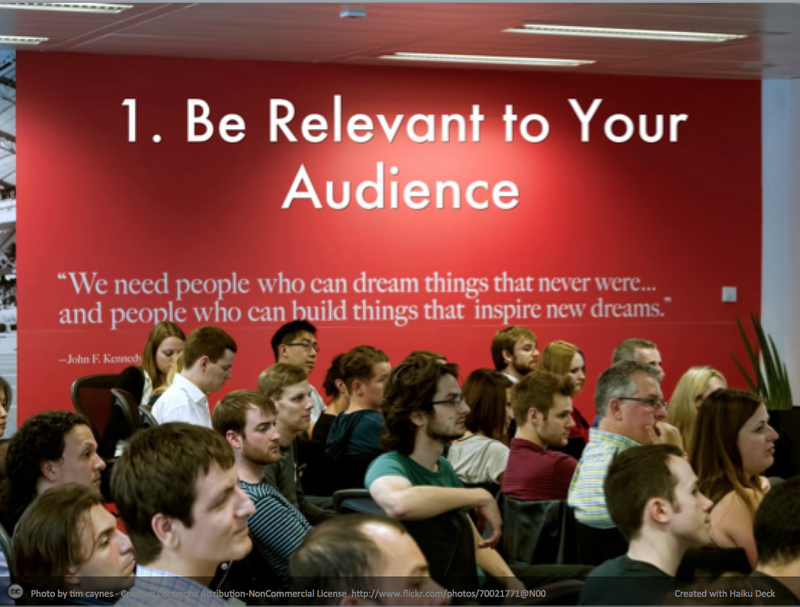 Your audience will appreciate you respecting their time and making things convenient for them. Segment your articles with headers; use clean, short lists; and include photos, charts or videos. Ask yourself: Does your website look easy to navigate or do people have to study the page to find their way through? Leave enough white space to make your website and anything you create clean-looking at first glance. Capture the viewer’s attention within moments in your videos and keep the length as short as possible to get your message across yet still be compelling. 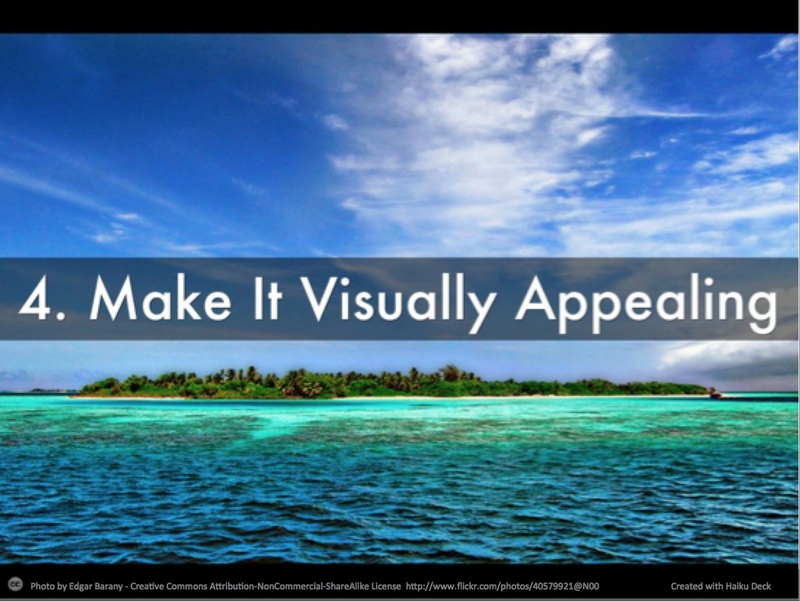 Use graphics that complement the rest of the page and help people understand your message. Content marketing is used to build your brand, so it’s vital that all pieces of content you create seem like they come from the same place, with the same overall strategy behind it. If you have several people creating your content, give them guidelines to follow so that the content looks like it comes from your company, not from individuals with different personalities. If you follow these five rules to good content, you can talk about all sorts of topics (relevant to your expertise and your audience, of course) and never run out of ways to serve the people you value most — your customers! I adapted this blog post from a presentation I gave for Philly ‘burbs WordPress Meetup. 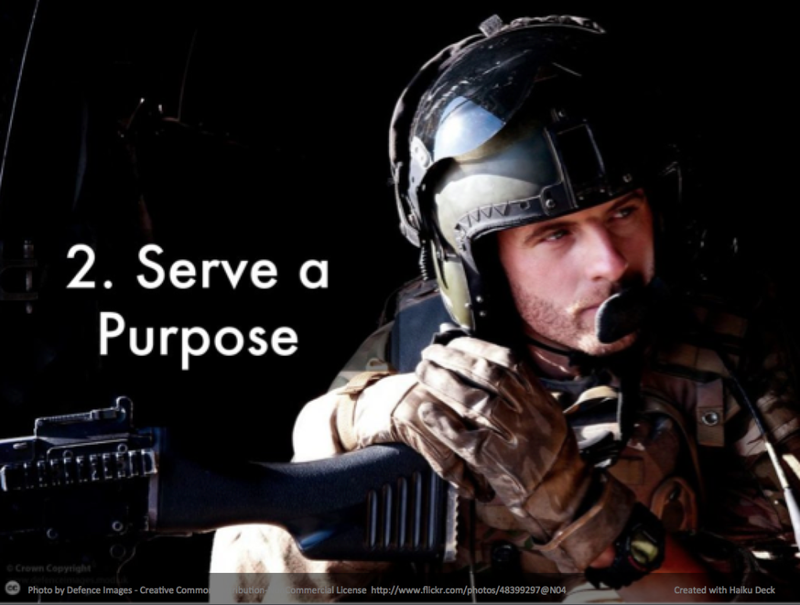 You can see the original on SlideShare.